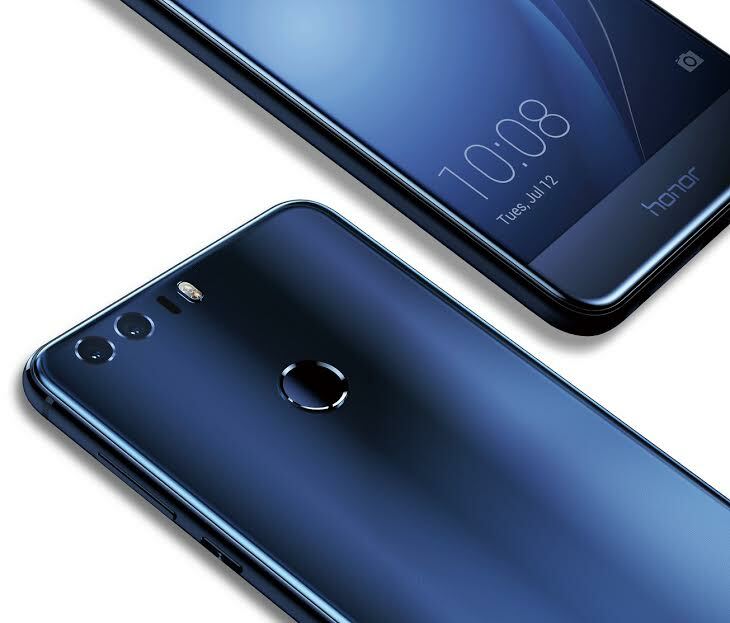 Jeddah: honor, the world’s number one smartphone e-brand from Huawei, is officially marking the Middle East and European launch of its highly desirable flagship smartphone, honor 8. The latest and highly awaited honor 8 was launched in Paris with Middle East media and influencers attending the launch to be among the first to touch and feel the beauty of this spectacular phone. The event took place at Piscine Molitor; a swimming pool and hotel complex located in Porte Molitor which was built in 1929. The pool was classified as a French monument on 27 March 1990. It was rebuilt from scratch in the style of the previous design and reopened in May 2014. The much anticipated device is a significant game-changer from honor as it offers even more value to the end user, as it’s not only packed with cutting edge, smart technology, but has a phenomenal aesthetical appeal, boasting a stunning glass exterior. The device is available on HonorArabia.com at SAR 1599 during September. Designed for digital natives with a unique, strong sense of style, the honor 8 stands out from the crowd. The 3D grate design has been created with a resilient two-sided 2.5D, 15 layer glass body, which reflects light producing an aurora effect with intricate patterns, meaning no two phones appear the same. Not only is the honor 8 showcasing a gorgeous exterior, but also puts beauty in the hands of its end-users. The world-class camera features and intuitive software offers seriously impressive functionality. With the 12 MP dual camera, a RGB and monochrome sensor, the device captures more light to deliver amazing picture quality, vivid colour and stunning details in daylight or at night. The device lends itself to aspiring photographers and selfie fans with its exciting new photography modes, manual operation capability, as well as its 8MP wide-angle front-facing camera that works well even in low-light. The honor 8 boasts powerful functionality to match its look, with a 0.4 second phone unlock and smart-key function to set up instant access to any part of the phone, making it incredibly intuitive. Its 3,000 mAh battery with Smart Power 4.0 maximises stand-by time allowing the honor 8 to keep going for up to 1.22 days of heavy usage. Just ten minutes of charging will allow two hours call time, and 30 minutes will re-charge the device to 47%. In addition to its eye catching appeal, the honor 8 is packed with high specs. Boasting 8-core CPU up to 2.3 GHZ, 4GB RAM, Kirin 950, i5 CO processor and Rapid-Smart file processing system. For users, this means flawless multi-tasking, seamless gaming, increased processing speed and more space for well-loved apps. With the honor 8, Huawei is offering a free pick-up and delivery service in UAE and KSA for handsets under warranty and free screen protection warranty for three months. Huawei honor is the world’s No 1 smartphone e-brand and in under a year honor entered more than 74 countries and continues its rapid expansion into new and emerging markets. Revenue has catapulted to USD 2.63 billion and the number of units has increased to 20 million devices – a figure the brand is looking to double by the end of 2015. Huawei honor is set to revolutionise the Middle East smartphone market and changing its landscape through its e-commerce only business model. Huawei honor believes in digital, and aims to allow more people to enjoy the wonderful connected digital world. It is able to connect directly to its consumers, spending more of its resources focusing on users’ needs and developing superior products and services. The underlying philosophy of the brand highlights the courage, the passion and vibrancy of our audiences. The courage to aspire to be yourself, the passion to pursue the aspirations and the vibrancy exhibited in the raring to go attitude. It is a brand “For the Brave”.